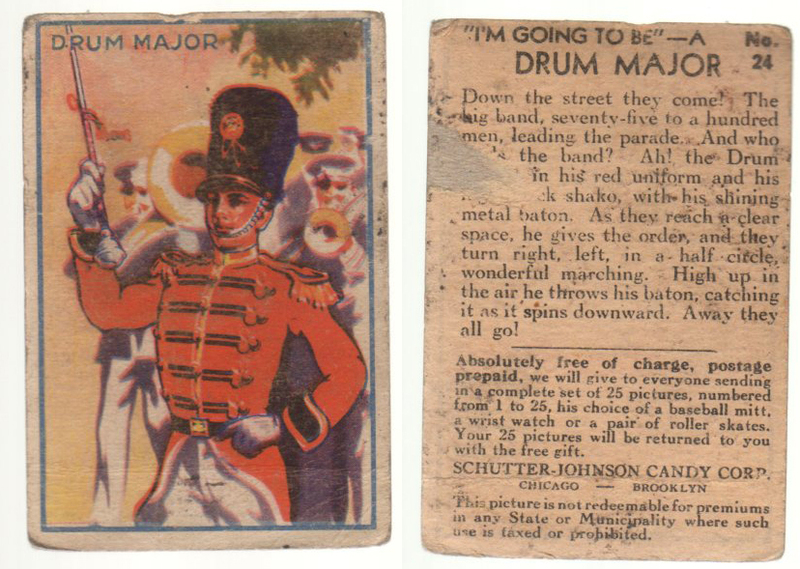 The 1935 Schutter-Johnson Candy Corp. set of I'm Going To Be shows possible future occupations for young kids. 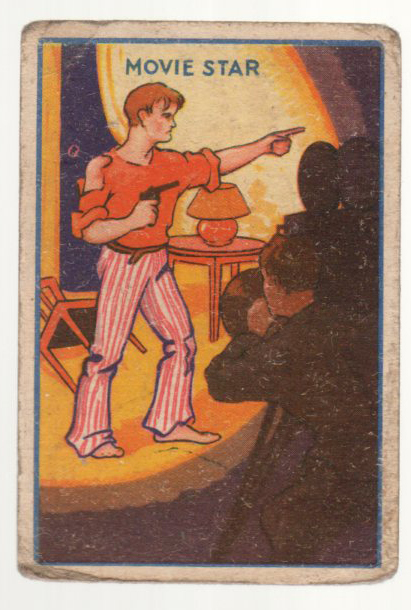 These cards were issued by Schutter-Johnson and included in candy boxes. 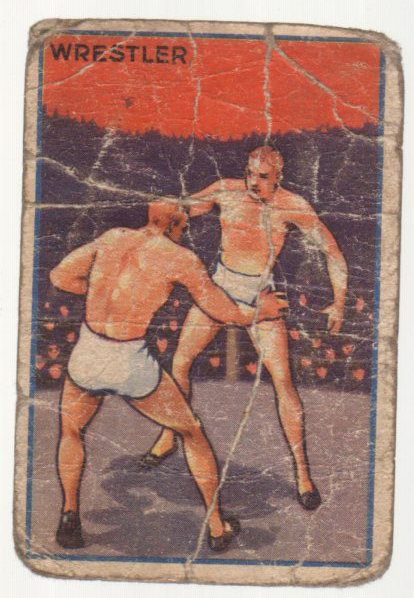 The complete set contains 25 cards, however card number 4 Strongman was sparingly issued and is seldom seen. 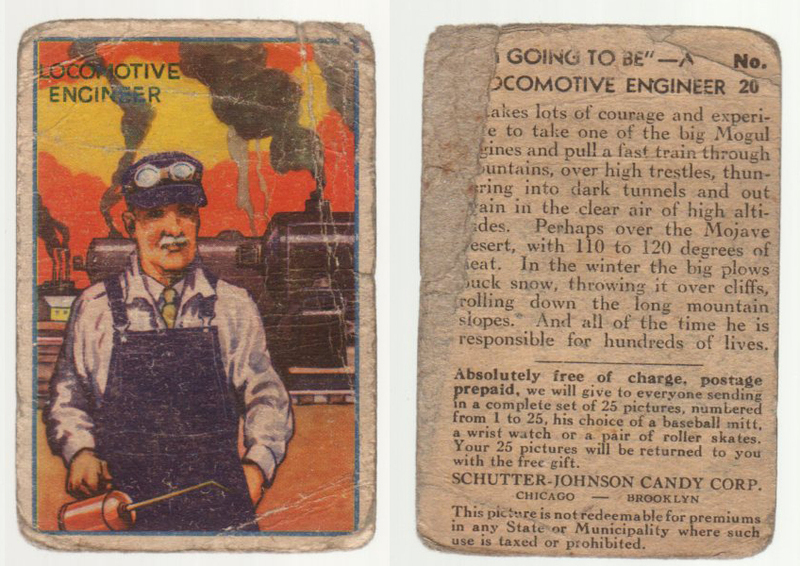 The cards have color drawings on the fronts of various jobs and the backs contain descriptions. Some of the occupations include Fireman, Pirate, Auto Racer, and Baseball player. 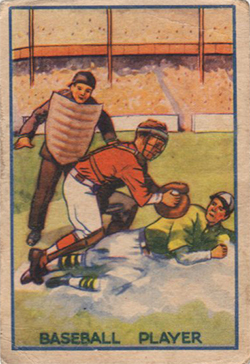 The baseball player card is one of the more collectible cards in the set. 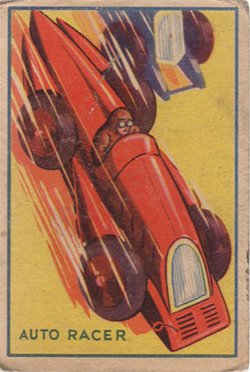 The cards measure 2-1/8" by 3-1/8" in size.